KARACHI : Renault Trucks, in partnership with Ghandhara Nissan Limited (GNL), introduced the full range of its vehicles to Pakistan’s market, keeping in view the demand coming from the China-Pakistan Economic Corridor (CPEC). In a notice to the Pakistan Stock Exchange (PSX), the general manager of Ghandhara Nissan said the company is going to import three new ranges of the truck by the end of 2019. The company is going to target oil marketing companies and other logistic businesses, which require high horsepower trucks. Initially, they will target selling 20-40 trucks, which can bear a load of 50 to 70 tonnes, depending on the horsepower of the truck, said an official from Ghandhara Nissan. Pakistan assembles 650-700 trucks every month, while its neighbouring country, India, makes 70,000 trucks, which is 100 times higher. However, due to CPEC, the demand will increase, said Aamir Allawala of the Pakistan Association of Automotive Parts and Accessories Manufacturers (PAAPAM). 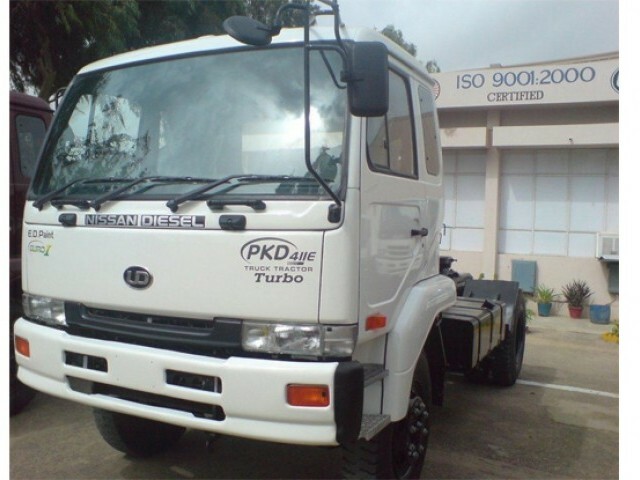 Recently Hyundai and Isuzu Motors also launched their trucks, to which Allawala said, “The future of the truck industry is bright.” Pakistan’s truck industry has been growing at a fast pace, after the government shifted its gears. In 2011, Pakistan’s total truck market was served 70% by used trucks and only 30% by locally assembled trucks. After the government introduced new measures in favour of local assemblers, the equation has turned completely and now 100% trucks are new – either locally assembled or imported, he said. “With our new range launched in 2013, we have deployed significant resources to ensure these vehicles deliver maximum reliability for long routes of CPEC,” said Renault Trucks International Senior Vice President Olivier De Saint Meleuc, while speaking at the launch ceremony of the truck. The company is creating a demand for new technology after the National Highway Authority crackdown on overloading. The demand for safety comes from oil marketing companies after the Ahmedpur Sharqia incident, in which more than 130 people died. The company will be responsible for import, distribution and after-sales service of the three new ranges. It is going to start local assembly of completely knocked down (CKD) units by 2019 at its manufacturing site, situated at Port Qasim, Karachi. Currently, all vehicles are being imported in built-up condition from Lyon, France.